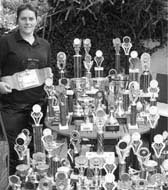 White Lotus Martial Arts & Fitness was first founded in 2000 by Michelle Gardiner. Her years of training and experience inspired her to create a club that centres on the students without restriction from administrative and financial aspects. Students benefit from the encouragement of a strong team of dedicated students and individual support from instructors. The White Lotus Club has developed their own personal style within Freestyle Kickboxing, combining the most effective techniques from the various styles Instructors have trained in over many years, including Kickboxing. 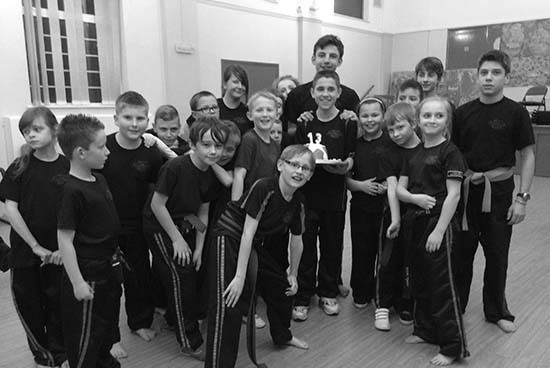 Our style is ideal for those looking to train for tournaments as well as those who wish work through gradings or improve fitness. Our fitness classes also combine the best techniques from various fitness routines including box fit and tai chi. White Lotus is dedicated to providing opportunity to all and has classes ranging from tabata fitness for those who wish to improve fitness and build stamina to balance and stability for the visually impaired. Please see our timetable for more information. 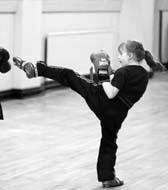 The origin of Kickboxing derive from a group of martial arts and stand-up combat sports based on kicking and punching, historically developed from karate, Muay Thai and Western boxing. Kickboxing is practice for self-defence, general fitness, or as a contact sport. Whether your goal is added fitness or co-ordination, social sports, competition success, self defence, traditional martial arts, having fun, becoming an instructor or gaining a black belt in White Lotus Freestyle Kickboxing, you will find what you are looking for with us! The enjoyment and rewards gained will by far justify the time invested. Great day, Denny's Smith Birthday! !